Security should be a top priority for every business. Commercial closed circuit television systems are a great place to start! In our modern world, many businesses strive to protect both their employees and assets. One of our goals, is to make our customers as safe as possible using only the most reliable commercial closed circuit television systems. These systems are designed to fit your specifications, ensuring the best security possible. Closed Circuit Television Systems (cctv) have been successfully protecting commercial properties for decades. 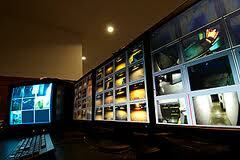 Tri-State Life Safety provides expert commercial closed circuit television (cctv) services. Our friendly and professional staff, can help you with everything from designing your commercial closed circuit television system to installing your newly custom designed closed circuit television system. Our systems can be suited to fit any space or commercial property.